The Content Service is the most important service of this HTML Editor. It contains various content setting and retrieval methods. 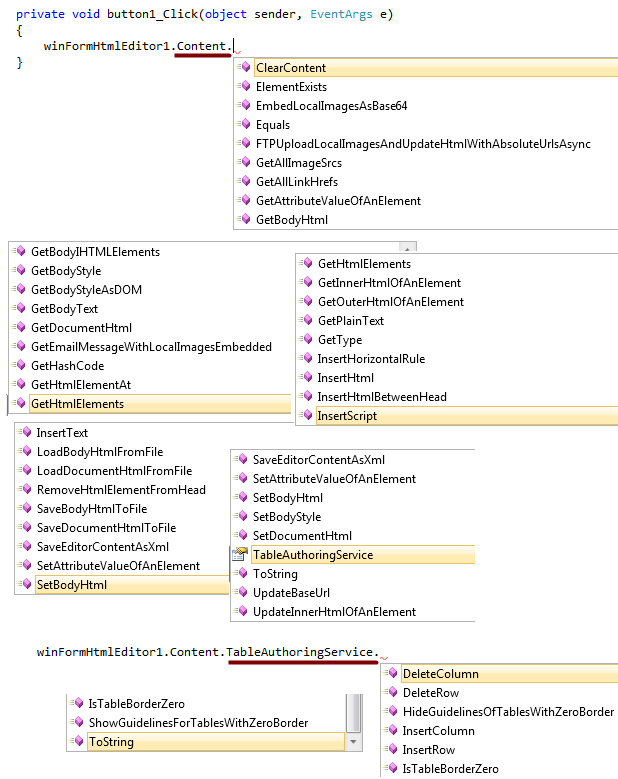 Here, we show some of the Content Service methods as Visual Studio Intellisense Screenshot so that you can have a nice idea about this API. For details about the API, please check the class library reference document (*.chm file) that you received in the download zip file.